...you need a Pretend Fall Survival Kit. 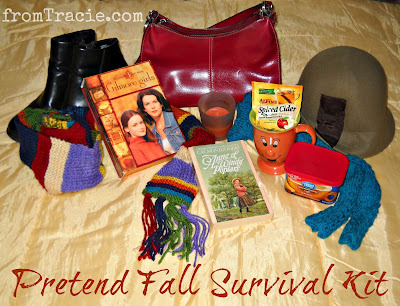 A Pretend Fall Survival Kit is essential for those of us living in southern states who yearn for the beauty and wonder that is fall, but are missing out on the required crisp, cold air to bring it about (unlike my friend at LucidLotusLife who is already having a beautiful fall this year). It is everything you need to pretend fall has come to visit you. Hats - Knit hats. Wool hats. Hats with buttons. Hats with ribbons. Hats are essential for giving you that fall feel. Fall Drinks - I have Apple Cider (a classic fall drink) and orange coffee (my favorite). Anything Pumpkin Spice flavor will also work. Bonus points if your survival kit contains an orange mug to toast the arrival of fall. Fall TV & Movies - My family watches all the episodes of Gilmore Girls with changing leaves when we want to pretend it is fall. In movies, When Harry Met Sally has great fall scenes in it, and so does Stepmom (if you are prepared to cry). Fall Scented Candles - Pumpkin Pie. Apples and Cinnamon. Apple Pie (any pie scent will work). Spiced Cider. Frosted Cranberry. Leaves. Vanilla Shortbread. Fall Colored Accessories - You might not have deep, red leaves around you, but you can carry a deep, red purse. Scarves - I like to make my own, but that isn't required. You can't have fall, or pretend fall, without a nice scarf. Socks - Not pictured because they are currently on my feet. they are grey with small vines and fall leaves running up the side. They are also very thin because it isn't actually hot enough to wear socks in Florida in September. Do you have any good fall movie or tv show recommendations for me? I'm always looking for something new to watch when it is time to pretend fall is visiting Florida. Rach from Life Ever Since and I are Community Leads at The SITS Girls. We have organized a fun event for this week, with daily prompts to help you get back into your blogging groove after the long summer, and allow us to celebrate the wonderfulness that is fall. Today's prompt: Fall Photos. We will get a short fall here or I guess a bit of fall with a short winter in South Carolina. We don't get snow but the seasons show. I love watching pictures of the sugar maple leaves on the ground. 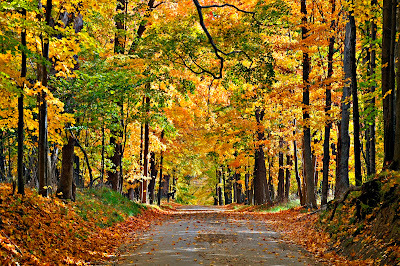 Reminds me when I lived in Pa in the 80's and there was a road cut around the 21 acres where we lived and it was pretty to walk in the fall. South Carolina is so pretty. I've always wanted to visit the northeast during the fall. I like your thinking! I just may have to put together a kit too. Though it's 91 degrees outside right now...sigh. You need a kit! We are hovering around that same kind of temperature down here too. It is just wrong. love love love gilmore girls. I totally love this idea! Maybe I'd add a rake and some gloves for gardening! That is a great idea for items to add. Gilmore Girls was pretty much the most perfect tv show ever. I'm so happy you liked it. And thanks for sharing it - that was so sweet of you to do! Thanks for visiting me at Lemon Drop Pie! Good for you! My husband loves it, so I didn't have to twist his arm very hard to get him to watch it. Nice to meet you too. I love all things cable knit. It is so pretty and warm. I bought a new purse today that's deep red and green, and a hunter green backpack purse, pictures later. I'm off my feet for the moment. You've Got Mail started in autumn in New York. Great autumn movie. Your new purse sounds awesome! Thomas and I sat down last night and thought of all the fall movies we could come up with. Dan In Real Life (and we watched that one - I love that movie). Remember the Titans. Charlie Brown Thanksgiving. All those boys school movies....and then we looked at your lists, which was a ton of fun. ooohing at the ones we agreed with (but hadn't thought of) and talking back to the screen about the ones we didn't agree with. Of course, there were some we had never seen. 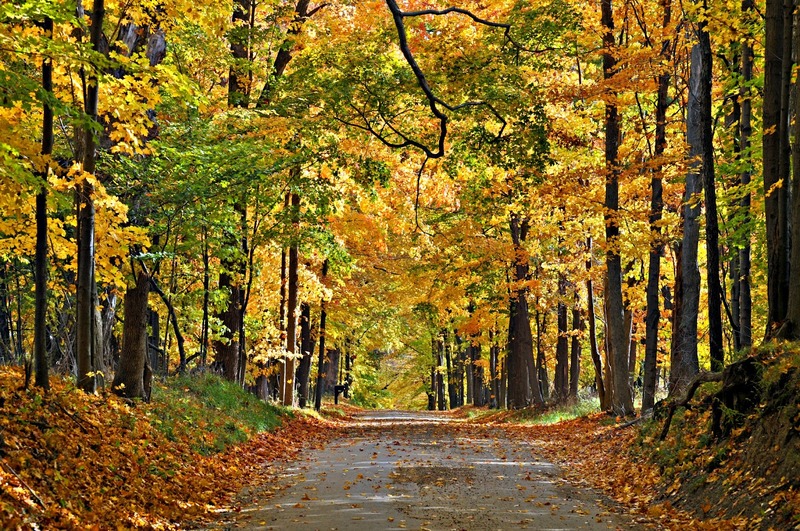 Now you know you are welcome here anytime to experience Fall. But I do love your fall survival kit. One of these days I might just make it up there! It would be a lot of fun. Fall scented candles are the best! Zomgs, this is the best idea ever! I love your kit. Gilmore Girls is on my list of most missed shows these days. I love those girls and crazy little Stars Hollow. Of course the stuff I'd add would be foods. Hot chocolate and soups, especially the creamy, cozy kinds like butternut squash and creamy mushroom. Now I need soup! I love them too. It is one of my all time favorite shows (and that is true for Thomas and Katarina too). Food stuffs are the best. Hot chocolate is a must. I'm not much of a soup girl...but I wouldn't be adverse to throwing some marshmallows in there to "cook" over a bonfire. Saw your blog on the SITS Blog Challenge. OMG, This post made me laugh out loud. No joke. My family is in oklahoma so I know exactly how you feel. It's either hot or really cold. No fall. I asked my mom today if the leaves were changing and she laughed and said, everything is still dead from summer. Complete opposite of what it's like in Wyoming. Thank you for the giggle. I seriously thought where my family was, was the only state that experienced the no fall season. I'm so happy it made you laugh. I didn't realize that Oklahoma didn't get all four seasons. Interesting. I've never visited Wyoming, but maybe one day I'll make it up there in the fall. This is so cute!! I'd add a pumpkin shake from Jack in the Box. Not sure if a fast food item is acceptable or not, but it's not Fall around here without one. Not only is fast food acceptable, it is encouraged. We don't have a Jack in the Box down here, but I always go there when I visit my mom in Arizona. It is one of my favorites!! You are so fun and funny and creative all wrapped up in one. In my fall survival kit? Ahhhhhh, I can't imagine because I love real fall so much, but I'd put soup, only homemade. Nothing like soup on a fall day. I'm not much of a soup girl, but it is always better homemade. Downton Abbey... is the ideal addition. YES! Downton Abbey is an ideal addition to anything! You're freaking hilarious. Pretend fall. I always get myself all jacked up over fall. I fake it like crazy--buying pumpkins in 90 degree weather, wearing a sweater even though I'm sweating. Now I've started taking it out on the kids--my daughter wore leggings today. Even though it's really too hot for them. Ha! My kid walked around with a light jacket on all day yesterday - inside the house. I'm happy to know I'm not the only one faking fall. Clearly you and I should both take our families and move to somewhere with a proper fall. Haha!! I do that too - run the air too cold and end up wrapped up in a blanket or wearing a sweater. I would always rather be too cold than too hot. So clever! I love this list! first, I loved the picture, all of them really – but I like your pile of fake autumn stuff most. And I really don't think I have anything to add – it's turning autumn outside my window right now, but then I thought that maybe some painted and cut out "fake" leaves might be nice – or even better yet – real leaves spray-painted! – That's my idea – real leaves sray-painted, in autumn colors, and hung around the home. Just here to help. :) God bless and keep you and all of those in your care Tracie. So clever and funny. I loved it. Funny. And true. I think it may actually be funny because it's true. Someone in Miami is in need of a Pretend Fall Survival Kit care package. 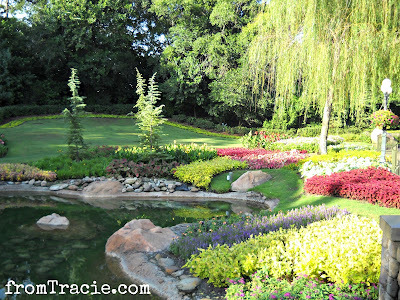 Thanks Tracie for commenting on my post. I will stay tuned for more of your posts.